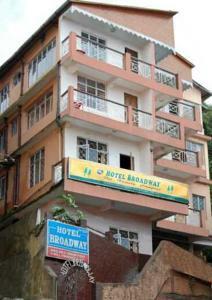 Situated in the charming and cool hill town of Darjeeling, Hotel Broadway offers splendid views of Mount Kanchenjunga and the Clock Tower, located just opposite the hotel. 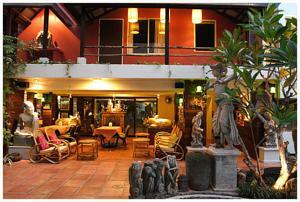 The hotel is a 2.5-hour drive from Bagdogra Airport and a 3-hour drive from New Jaipaiguri Railway Station. Fitted with a balcony and a seating area, rooms offer wooden interiors. They are equipped with a wardrobe, tea/coffee making amenities and satellite TV. En suite bathrooms come with shower facilities. Heaters are available on request. The restaurant serves Chinese and Indian buffet spreads, with the option of room service. Guests can head to Broadway’s 24-hour front desk for assistance with airport shuttle, trekking arrangements and luggage storage services. Complimentary parking spaces are available. Free! All children under 5 years stay free of charge when using existing beds. All older children or adults are charged INR 300 per person per night for extra beds. The maximum number of extra beds in a room is 1. There is no capacity for cots in the room. Any type of extra bed or crib is upon request and needs to be confirmed by management. Additional fees are not calculated automatically in the total cost and will have to be paid for separately during your stay.